Artists by definition are supposed to have active imaginations, but Dionisio González’s surreal architectural visions look like something out of a fever dream. 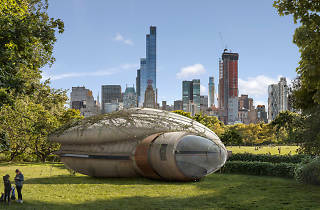 The Spanish artist specializes in creating computer generated images of fanciful, all but impossible to build structures plunked down in different geographical settings. These have included proposals for a hotel in Venice and one for a sort of souped-up favela in the town of Ipiranga, Brazil. For his current exhibition at Galerie Richard, he turns his attention to New York. 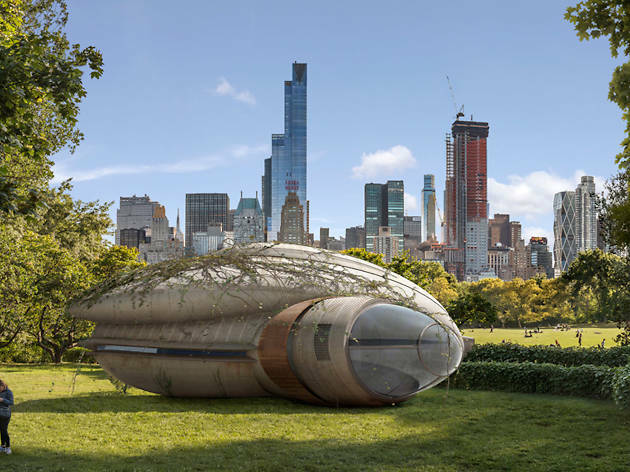 His designs include a podlike habitat for Central Park, an elevated park around Hudson Yards that dwarfs the High Line and sky bridges above Fifth Avenue and Times Square. You can check out some of his renderings below or at the gallery, where they’re on view until August 27.